I haven't participated in Follow Friday recently. I've missed it. It's a great way to meet other bloggers. This has been a good week with my most recent interview. 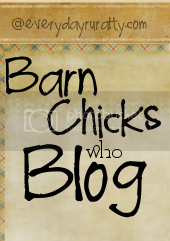 I'm pleased to say that there are other Barn Chick interviews coming soon. Ouch! We had one of the largest eggs that we've ever gotten from our hens today. It was a whopping 4 ounces. That's a 1/4 pound egg! I would hate to have been the hen that produced it. The egg in the front is a medium egg. Aerial view??? You know, we were supposed to get lots of snow earlier this week. It missed us and we only got a dusting. I'm not bragging, because I realize that we could get hit at any time. I was really surprised that we didn't get more. My kids were hoping to play in the snow. I love it when they make snowmen. We've had a variety of snowmen over the years. One year when I was sick, the kids built a snowman right outside the kitchen window. I think snowmen are awesome. Boy, I miss my snowmen this year! "Quick! Someone get this woman some snow!Play Dough and Crayons would do in a pinch. I wouldn't let her get the eggs ready for thefarmers' market this week!" That is an egg!! Ouch is all I can say. 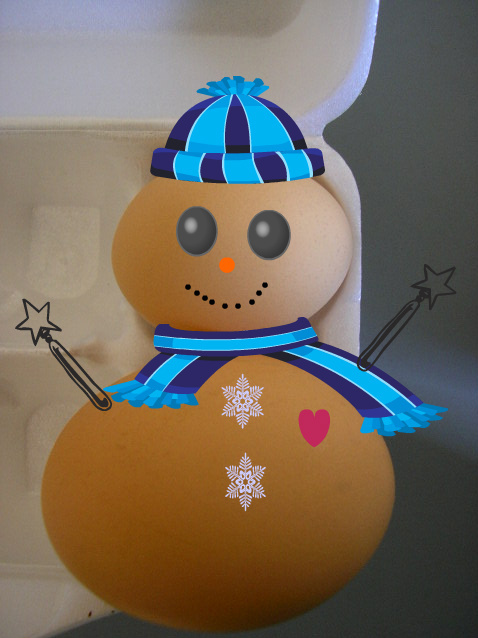 Who knew you could make a snowman from an egg. Very creative. 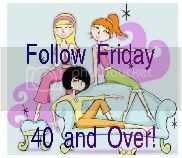 Following you from follow friday 40& over. Wow that's a huge one. Happy weekend and keep warm! Good grief, are you sure you didn't have a duck sneak in and lay an egg? 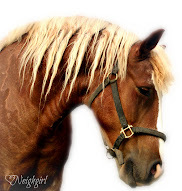 I'm a new visitor and follower from the Blog Hop. It's great to meet you and to witness the largest egg I have ever seen. :) Look forward to hearing back from you. Wow what an egg! I wonder how that happened?Is this a record? Hopping by Via Follow Friday. If you have a few minutes spare I would love it if you could pop over and say hello. Your post got me wondering, check out this link! That's a killer egg! Down here in Australia I've also seen the chooks produce tiny eggs!! 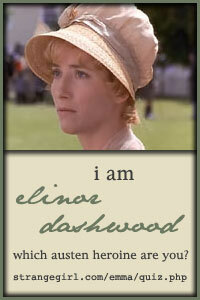 So great to come across your blog while blog hopping - hope you have a great weekend! Ouch! Eye wateringly big egg. You are one talented lady. Very cute snowman. Do you think maybe your snowman should be friends with Goldie? How is the house coming along? Are you almost finished? That's one BIG egg. Poor hen...lucky you! That is whopping XL egg! -- here in northern MN we have gotten a lot of snow this year.... cute snowman! That must be the biggest chicken egg I ever saw. Poor girl. YIKES! I know sometimes our chickens would lay eggs and you'd just be amazed!!! LOL! Love the snowman!!! Hee hee! 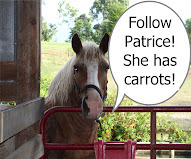 PS I enjoyed your Barn Chick interview. So cute. You can have all our snow. I'm really really sick of it all! What do you do with an egg that big?